Traian Basescu, the suspended Romanian president, begs Romanians not to attend the referendum on July 29. This is his last chance to withhold presidential office until the end of 2014. 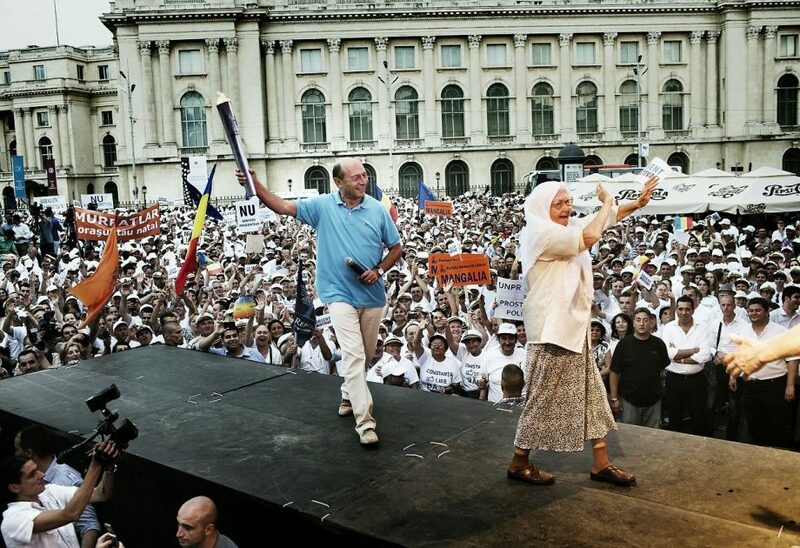 Romanian President Traian Basescu holds “The Flame of Democracy” as he speaks during an electoral rally in Bucharest July 26, 2012. Romanians will vote on July 29 in a referendum regarding the impeachment of Romanian President. Prime MInister Victor Ponta and his majority left-wing parliamentary coalition push for BasescuÕs removal from office over his support for austerity measures. The EU has called into question Romania’s respect for democratic institutions, following the centre-left government’s attempt to impeach conservative Traian Basescu. Romanian President Traian Basescu exit stage after addressing his supporters during the last electoral rally in Bucharest on July 26, 2012. Romanians will vote on July 29 in a referendum regarding the impeachment of Romanian President. Prime MInister Victor Ponta and his majority left-wing parliamentary coalition push for BasescuÕs removal from office over his support for austerity measures. The EU has called into question Romania’s respect for democratic institutions, following the centre-left government’s attempt to impeach conservative Traian Basescu. 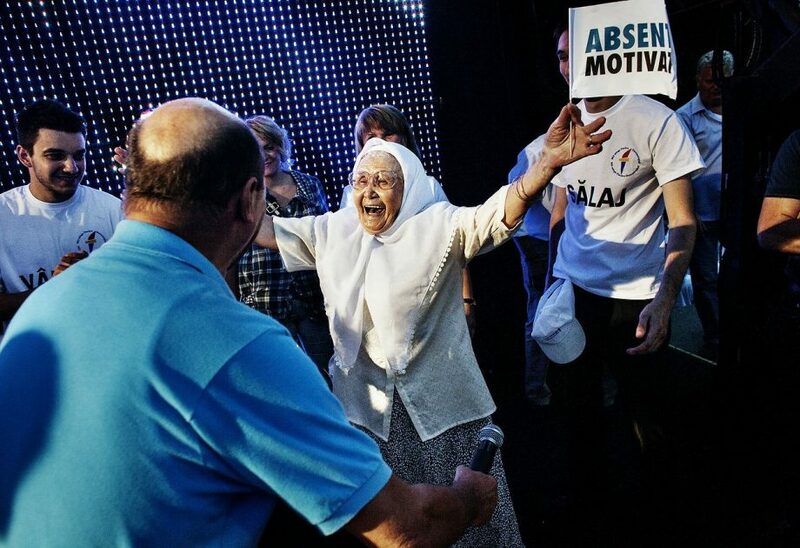 Romanian President Traian Basescu welcomes on stage one of his supporters during the last electoral rally in Bucharest on July 26, 2012. Romanians will vote on July 29 in a referendum regarding the impeachment of Romanian President. Prime MInister Victor Ponta and his majority left-wing parliamentary coalition push for BasescuÕs removal from office over his support for austerity measures. The EU has called into question Romania’s respect for democratic institutions, following the centre-left government’s attempt to impeach conservative Traian Basescu.